Season skirt steak pieces all over with adobo seasoning. Heat extra virgin coconut oil and butter in a large skillet over medium-high heat. 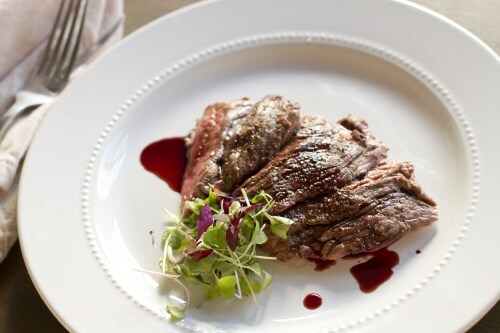 Cook steak in hot oil and butter, turning often, until steak begins to firm, and is reddish-pink and juicy in the center, 6 to 8 minutes.